You are in a hurry and need something to eat – fast! What should you do? Some people shoot for a meal replacement drink. 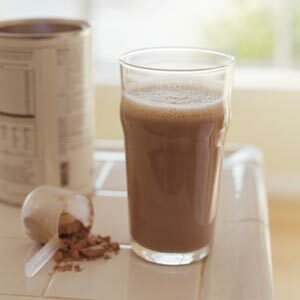 Others will also look to meal replacement shakes to substitute 1-2 daily meals in an attempt to lose weight. While this may seem like a good option, it has some serious draw-backs that most people are not aware of. Most have a low amount of low-quality protein. Soy protein is the preferred choice because it is cheap and keeps manufacturing costs down. While soy has been marketed as a health food and there can be some health benefits to fermented, traditional Asian soy, I would avoid processed, non-fermented North American soy such as soy protein. The down side to soy protein is that it contains anti-nutrients, phytoestrogens and can cause various health problems for some people. This is a big, controversial topic that is wise to research more. 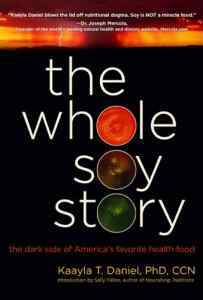 I personally found The Whole Soy Story: The Dark Side of America's Favorite Health Food by Dr. Kayla Daniel, PhD to be very informative and helpful with this topic. The primary choice of carbs in most meal replacement drinks is sugar. While it may not say “sugar” on the label, it will usually be something that is basically pure sugar. For example, maltodextrin (a corn-derived sugar) is often used because it cheap and it looks better on the ingredients than “sugar”. Anyone interested in health or fat loss would be wise not to consume this type of processed carbohydrate. Fat in these items often is some type of vegetable oil (e.g. sunflower oil). While this sounds healthy, vegetable oils are high in omega-6 fatty acids. The average North American diet gets way too much omega-6 already and this leads to health problems such as inflammation. Yes, these products typically contain a good, balanced level of vitamins & minerals. However, they are usually synthetically derived and your body needs more than just vitamins and minerals. 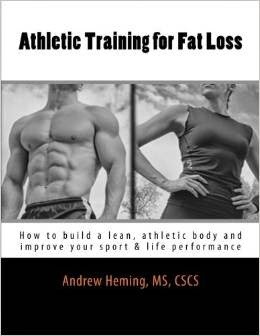 What About Shakes for Fat Loss? Yes, sometimes shakes help some people lose weight because they take away some of the food decisions (i.e. they lose the opportunity to make a bad choice for 1-2 meals per day). They also result in a reduction in overall caloric expenditure. This does work temporarily for weight loss, but long term the body adapts to this and lowers its metabolism making further fat loss and maintenance more difficult. This is why there can be some truth to those convincing testimonials. Ultimately, it is an expensive and not all that healthy way to reduce caloric intake. And seriously, would you want to be drinking these for the rest of your life? Nutrition is about more than just the macro and micronutrients. When you move away from whole food you miss many other beneficial aspects such as: phytochemicals, antioxidants, fibre and other things that science has not discovered or fully understood yet. Most meal replacements are fancy, man-made processed food and fall well short of optimal nutrition. This is absolutely brilliant. Cheers to ya!